At MSR, we get this question a lot: Can you filter your urine and drink it for rehydration in an emergency situation? Should you? The confusion surrounding this topic is understandable. The internet, survivalist shows, and even history is flush with sensational theories and contradicting claims. 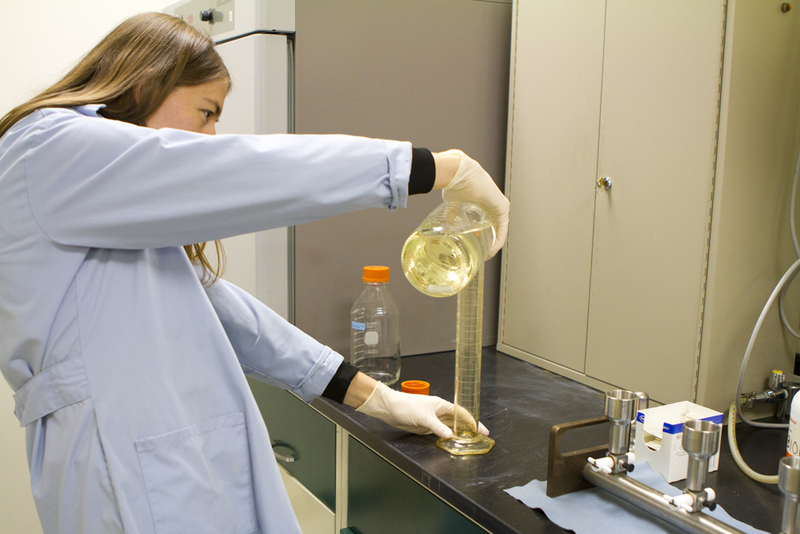 So we asked the experts in MSR’s water research lab to use science to set the record straight. Many claim that in a survivalist situation, drinking your pee when you’re out of water can save you from succumbing to dehydration. The fact is, this is simply… false. Not only will your urine not rehydrate you, it will have the opposite effect and dehydrate you at a faster rate. In fact, these dire moments are perhaps the most dangerous time to imbibe your own brew. It’s important to remember that urine is your body’s vehicle for eliminating liquid and soluble waste. Though mostly water, urine contains dissolved salts, minerals and trace amounts of toxins from your liver. The more dehydrated you are, the higher the concentration of these pollutants in your pee. If you’re in a survivalist situation, you’re likely extremely dehydrated and the concentrations are very high. At this desperate point in time, drinking your urine—and putting those pollutants back into your system—can cause a build-up of toxic levels. It’s for this same reason that it’s so dangerous to drink seawater. The more you drink, the faster it dehydrates you. The (very-simplified) science is: too much salt draws water out of your cells through the process of osmosis. That said, it is possible to drink your urine without ill effects. A healthy person who’s fully hydrated likely wouldn’t be harmed by a couple cups of his own clear cocktail (not golden at this point). Urine is about 95% water. It is not completely sterile of microorganisms, as many sources incorrectly state. But it doesn’t contain any of the harmful microbes that can make you immediately sick—such as those you might ingest from contaminated wilderness water, and which are generally transferred through feces instead. Can you use a backcountry water filter to make urine drinkable? So what if you filter it? Again, sorry to burst any bubbles, the answer is no. The dissolved salts, ions and molecules, like urea, that are present in urine are too small for backpacking filters and even purifiers to remove. Other forms of treatment, like UV light or chemical treatments only kill the microbes; they do nothing to rid the water of these other molecular-sized contaminants. The only way to safely drink urine (such as in a survival situation, as your only water source) is to remove those dissolved contaminants from it, or at least bring them down to a negligible level. There are only two ways to do this. One is reverse osmosis, which uses extremely high pressure to force water through a membrane that literally passes only water (not even salt). The other is through distillation—essentially evaporating out the water molecules and letting them condense again in a different vessel for drinking. While these methods will isolate the water that’s drinkable, it’s even harder to remove every last trace of urine taste and smell. Suffice to say, we don’t recommend sipping your spirits—especially in an emergency situation. The courageous act will neither hydrate you nor make you a hardier backcountry soul. So here’s to science and heading into the backcountry prepared for the worst and all the wiser! To learn why you should filter natural wilderness water however, head over here.